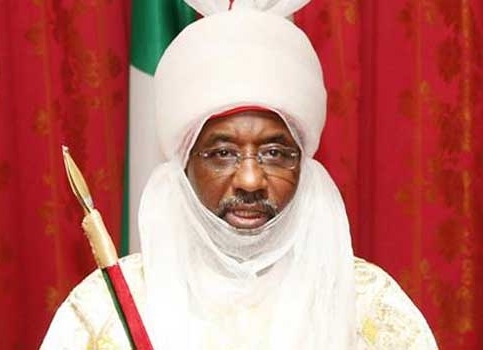 The Kano State House of Assembly has set up an 8-man committee to investigate the allegations levelled against the Emir of Kano, Mallam Muhammadu Sanusi II, bordering on alleged misappropriation of funds. Flamboyant Emir of Kano and former governor of the Central Bank of Nigeria, Muhammadu Sanusi II is in trouble and may be dethroned anytime from now by the Kano state government. The House on Wednesday, constituted an 8-man committee to investigate eight offences allegedly committed by the emir. 1. Governor Abdullahi Umar Ganduje and the state legislators are mismanaging the state resources while on an official visit to China. 2. Making remarks in Kaduna on the proposed Kano light rail project which had tarnished his (Gama) image, the government and the assembly as well. 3. Allegation by the emir that the state governor and his entourage wasted one month in China seeking for loan to construct the light rail in the state. 1. Intentionally attacking President Muhammadu Buhari whenever he got an opportunity to speak at a public gathering. He said this had contravened the culture of traditional institution. 2. Embezzlement of funds belonging to the emirate council. 3. Tarnishing the image of the emirate by assigning his daughter to represent him at a public function, introducing strange religious issues and involvement in politics. 4. Downgrading the honour of the Kano emirate council by assigning his daughter to represent him at a function organised by the #BringBackourGirls# group in Abuja, saying it was against the emirate’s tradition. On this Gama said: “There are many responsible members of Kano emirate council members that can represent the emir at the event instead of his daughter. This is the first time we are witnessing this kind of representation in the history of Kano emirate council. It would also be recalled that the Kano state Public Complaints and Anti-Corruption Commission is currently investigating Kano emirate council over alleged embezzlement of over N6 billion in three years. It was gathered that, three officials of the emirate council were expected to appear before the commission today (Thursday) to answer some questions as a continuation of the ongoing investigation which the commission commenced last month. “And the law of the commission is a product of Kano State House of Assembly. So, as a mark of respect, we have suspended our investigation into the embezzlement of over N6bn by the Kano State Emirate Council pending the outcome of the House of Assembly’s investigation.